From Goodreads.com: "Josh Hanagarne couldn’t be invisible if he tried. Although he wouldn’t officially be diagnosed with Tourette Syndrome until his freshman year of high school, Josh was six years old and onstage in a school Thanksgiving play when he first began exhibiting symptoms. By the time he was twenty, the young Mormon had reached his towering adult height of 6’7” when—while serving on a mission for the Church of Latter Day Saints—his Tourette’s tics escalated to nightmarish levels. Determined to conquer his affliction, Josh underwent everything from quack remedies to lethargy-inducing drug regimes to Botox injections that paralyzed his vocal cords and left him voiceless for three years. Undeterred, Josh persevered to marry and earn a degree in Library Science. At last, an eccentric, autistic strongman—and former Air Force Tech Sergeant and guard at an Iraqi prison—taught Josh how to “throttle” his tics into submission through strength-training. Today, Josh is a librarian in the main branch of Salt Lake City’s public library and founder of a popular blog about books and weight lifting—and the proud father of four-year-old Max, who has already started to show his own symptoms of Tourette’s. The World’s Strongest Librarian illuminates the mysteries of this little-understood disorder, as well as the very different worlds of strongman training and modern libraries. With humor and candor, this unlikely hero traces his journey to overcome his disability— and navigate his wavering Mormon faith—to find love and create a life worth living." 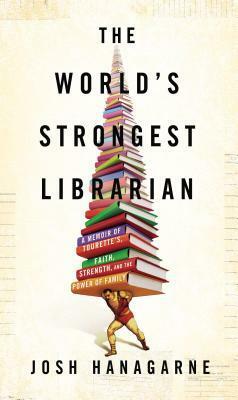 In "The World's Strongest Librarian," Josh Hanagarne writes his life story with great candor. Before reading this book, I didn't really know a whole lot about Tourette's Syndrome, which can be very difficult to control and very noticeable to those around you. But this book isn't only about Josh's syndrome and his struggle to live with it. Josh is a pretty cool guy; he's also a librarian and a weight lifter. He defines resilience! I really love memoirs that are a little bit off the beaten path, which this one definitely is. Josh has a really interesting story and recounts it in such a way that you feel like you are having a chat with an old friend. He is a really great storyteller and his "voice" in the book definitely kept me reading. I think that the personal style really made me feel like I got to know Josh well through this book. 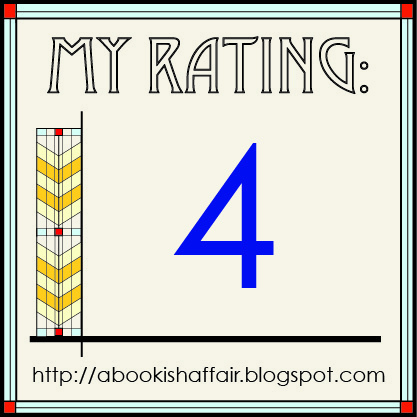 I especially liked the parts that talked about the author's love of books and his job as a librarian. These parts of the book are the ones that any book lover will enjoy. Josh knows the magic of a good book. The book also discusses some about his Mormon faith. Often I find things having to do with religion to be a little bit too preachy for my liking but in this case, the author is basically just telling you where he is coming from. Bottom line: This is such a great story! I had no idea that he worked in the Salt Lake main branch. When I learned about this book.. I WAS IN THAT LIBRARY! Now I wish I had looked into it a little bit more while I was there!! 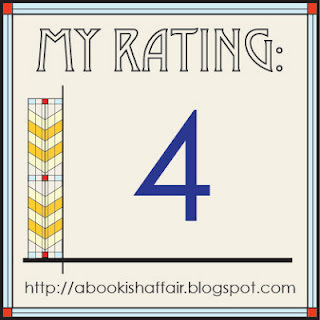 I've seen so many good reviews on this book!